This book has a fantastic plot- with twists and turns. It also has irony- how the headmistress’s, hate for the Wormwood family produces surprising results.It is a fun book to read, at any age. Once again, Roald Dahl, the author, displays all his brilliant talent in writing. 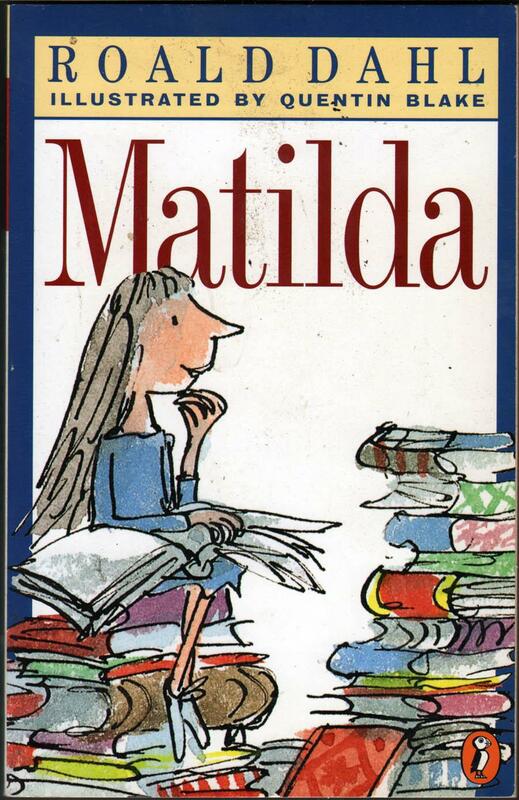 My favorite part of this fabulous book is cunning and mischievous- when Matilda gets her father. Her father is a terrible person: for example, he sells people second-hand cars with sawdust to make them “nearly new”. Not only that, he doesn’t even care about Matilda at all. Matilda comes up with a punishment that is deserving and perfect for him. He loves his porkpie hat- so Matilda helps him with his love for it. Her solution is smart, and, well… naughty. And the best part is her father doesn’t find out! This book teaches a very important moral: Bad things done have bad consequences. This is a common moral and theme, but here, it is unbelievably conspicuous. It is evident, through Agatha, Magnus, and Jenny, that Agatha gets what she deserves; as does Jenny. Matilda makes this happen. In this book, help often comes from unlikely places. Who would have expected a tiny girl to help her teacher in such a way? No one, it seems, until it happens. So what are you waiting for? Go read it!